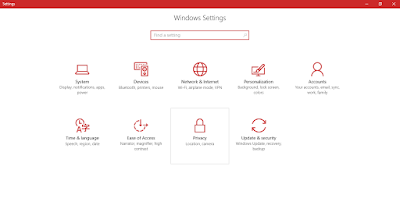 After updating to Windows 10 Anniversary Update, there have been many changes in settings of windows PC. 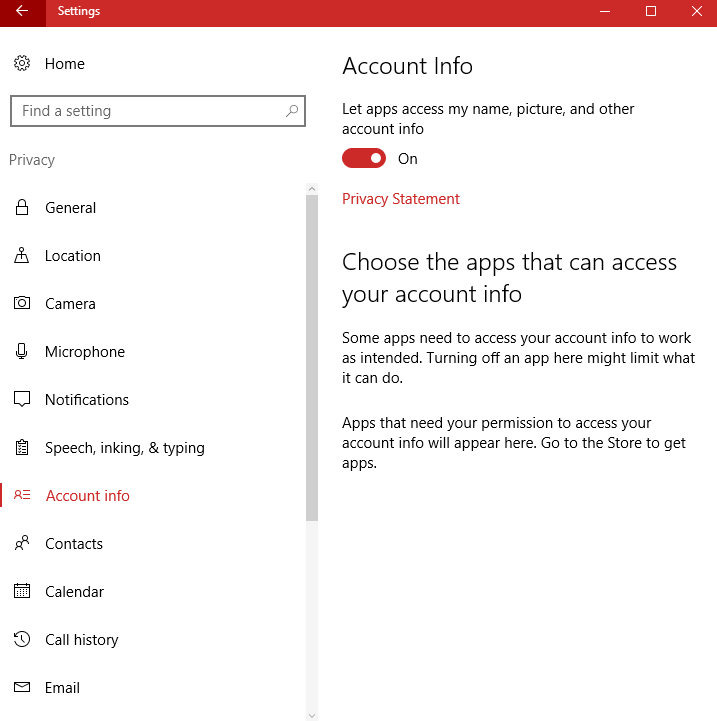 In this post, you will learn how to make changes to Speech, Inking, Typing, Account Info, and Contacts settings. 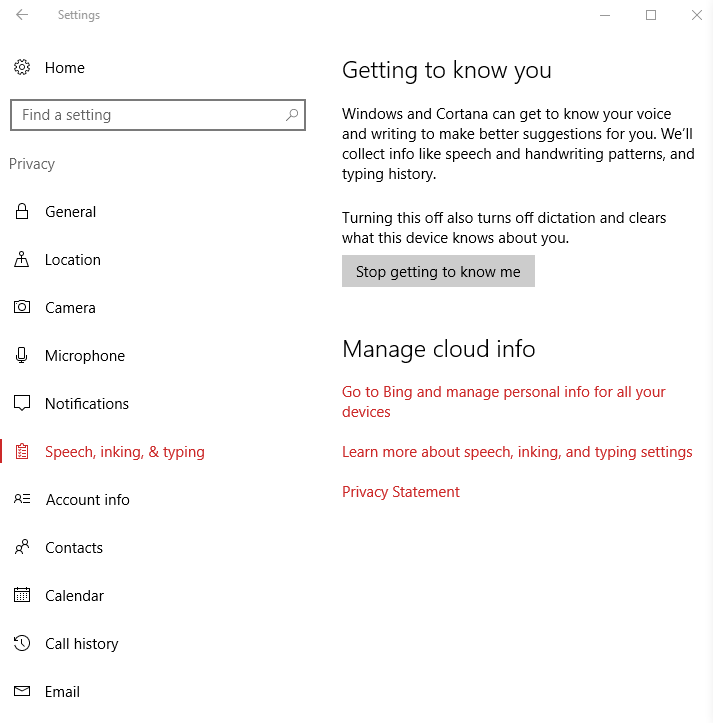 Click on Speech, Inking, Typing settings. 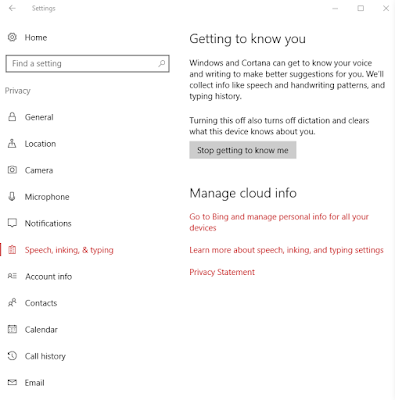 Windows and Cortana can get to know your voice and writing to make better suggestions for you. Windows will collect info like speech and handwriting pattern, and typing history. Turning this feature off also turns off dictation and clears what this device knows about you. 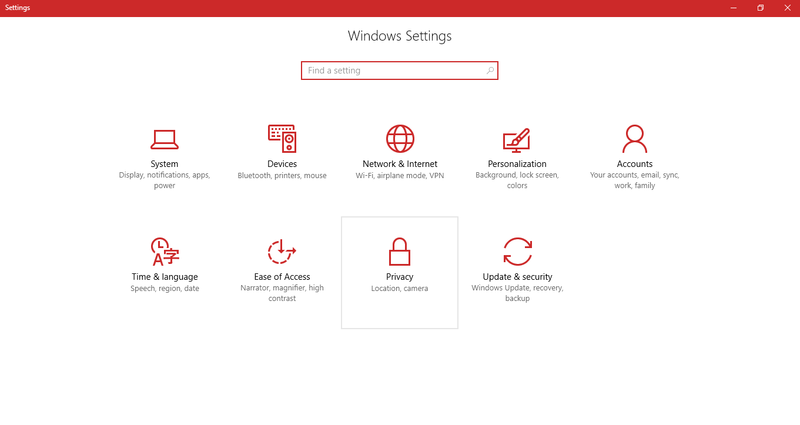 You can click on “Stop getting to know me” to stop windows from taking inputs from your device. Below this, you can manage cloud info. 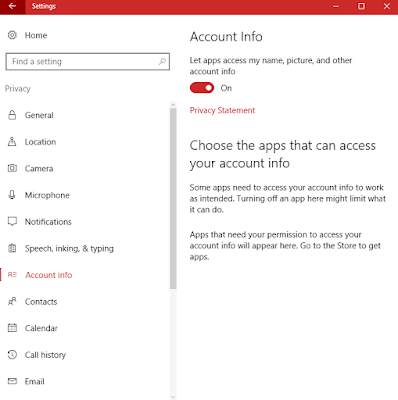 From here, you can turn ON/OFF windows access to your name, picture, and other account info from your PC. You can check “Privacy Statement” below it. Further, you can give and take access to apps that can access your account info. Apps that need your permission to access your account info will appear below. If you cannot see any app listed then, you need to get some apps from store related to that. 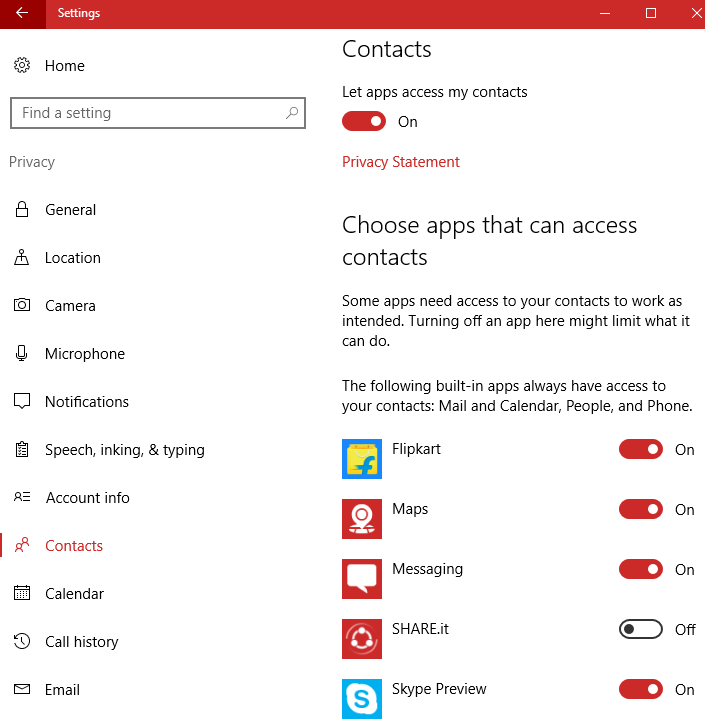 Here also, you can turn ON/OFF access to apps which can access your contacts. You can go throw “Privacy Statement” below it. 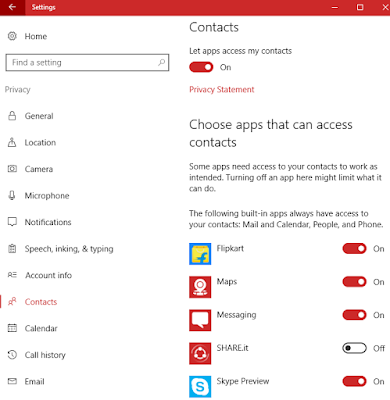 Some of the following built-in apps always have access to your contacts like Mail, Calendar, People, and Phone.